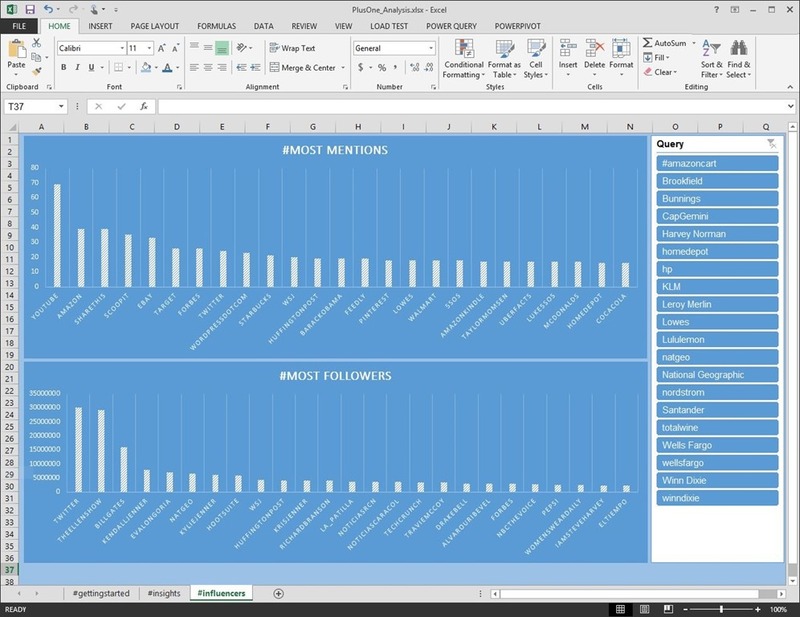 Want to use Microsoft Excel 2013 and PowerPivot to drive insights into the social conversation on Twitter? 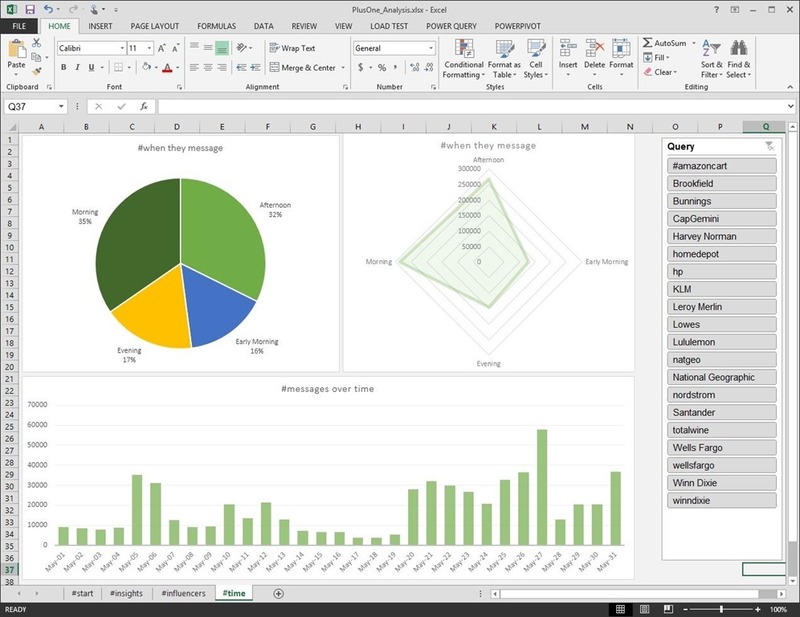 We have made available a PowerPivot solution that will connect to our Plus One Social database and allow you to use our base dashboards or even drag and drop your own! Browse on over to http://plusonesocial.com and click the DOWNLOAD link to get a copy of the spreadsheet. This dashboard allows you to see the top 25 influencers of people using the #hashtag you just searched on. This is a great view of individual talking about your brand or keyword. Basically, people you want to know. 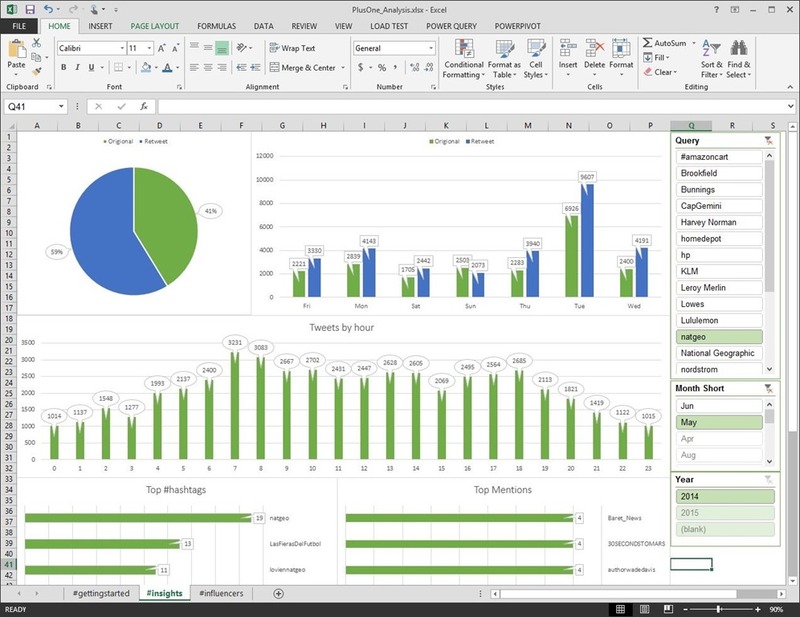 This dashboard allows you see messaging flow through a time focused view. This is great to see when people are messaging the most on social and when you should engage them. ← We have Ignition! Plus One Social for #SocialMedia insights just changed the game!